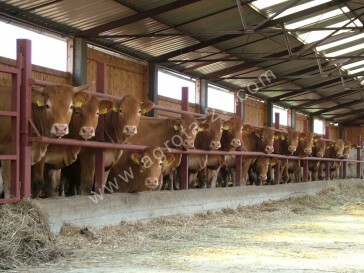 This breed originates from a mountainous region of South East France whose centre is Limoges. 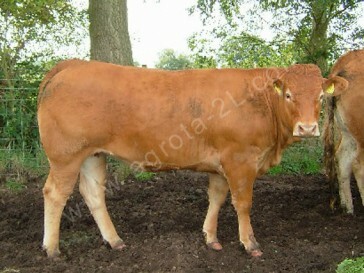 It is a middle sized beef cattle widespread not only all over Europe, but it is bred worldwide. 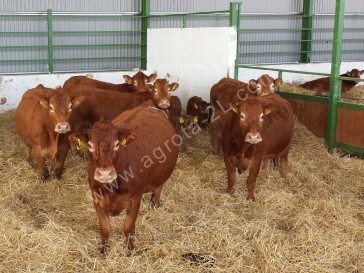 Single coloured light or dark red Limousin animals contain typical lighter areas only on the feet, the muzzle, around the eyes and on the the inner thigh. 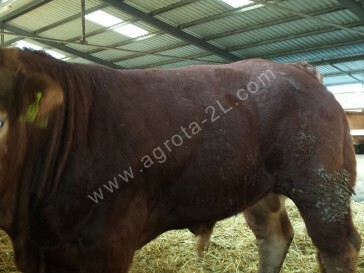 The basis for the high beef yield is provided by the relatively long trunk with a wide back and extremely heavy muscles in the upper feet. 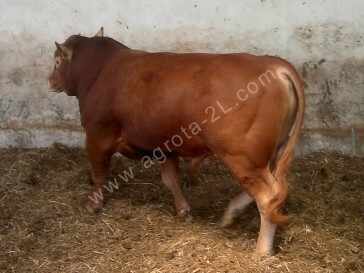 Its beef is well veined. 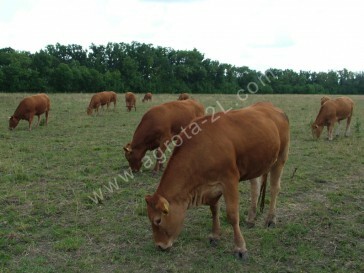 Due to the gentle feet of appropriate standing with solid hooves, the breed can well be managed by pasture feeding. 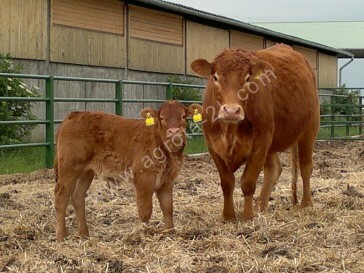 Limousin cattle has a relatively long and slightly descending pelvis and a low birth weight allowing easy calving in general. 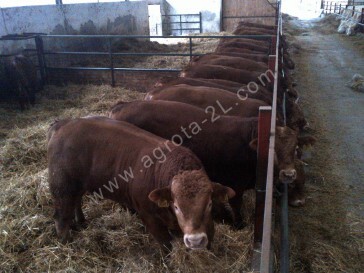 Further characteristics of the breed are vitality, high reproductive ability, long life span and a good adaptability. 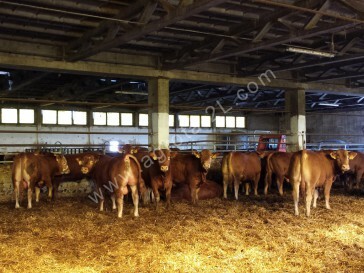 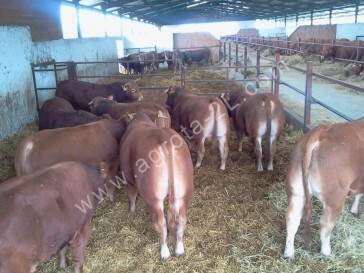 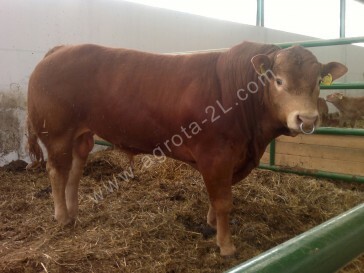 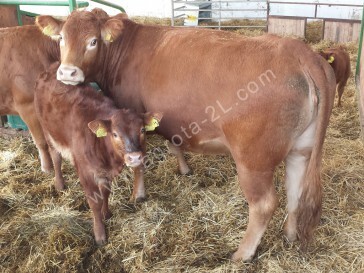 Limousin is perfectly suitable for high quality beef production both as straight-bred and as a partner in crossings. 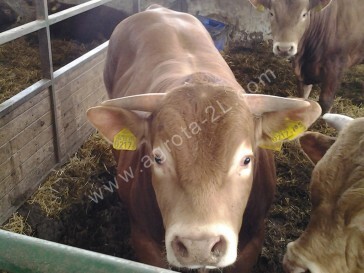 Due to its feeding requirements and weight, the breed can be kept on weaker pastures or in mountainous regions as well. 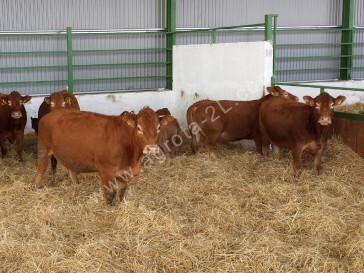 High vitality of the newborn calves significantly reduces calving losses. 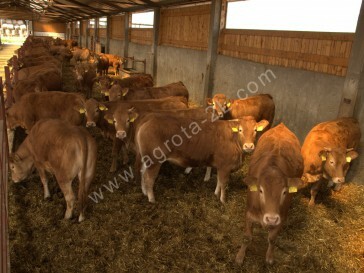 Sometimes the breed is also termed as “a thoroughbred among the cattle”. 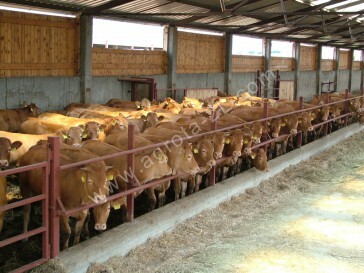 It is even advisable to consider setting up a solid fence around the pasture the stock is feeding on.